It’s always nice to be greeted by a friendly face first thing in the morning. It had been a good year for the Eastern Cottontail rabbits at Wahkeena. The bunny below and his siblings are seen frequently around the nature center. 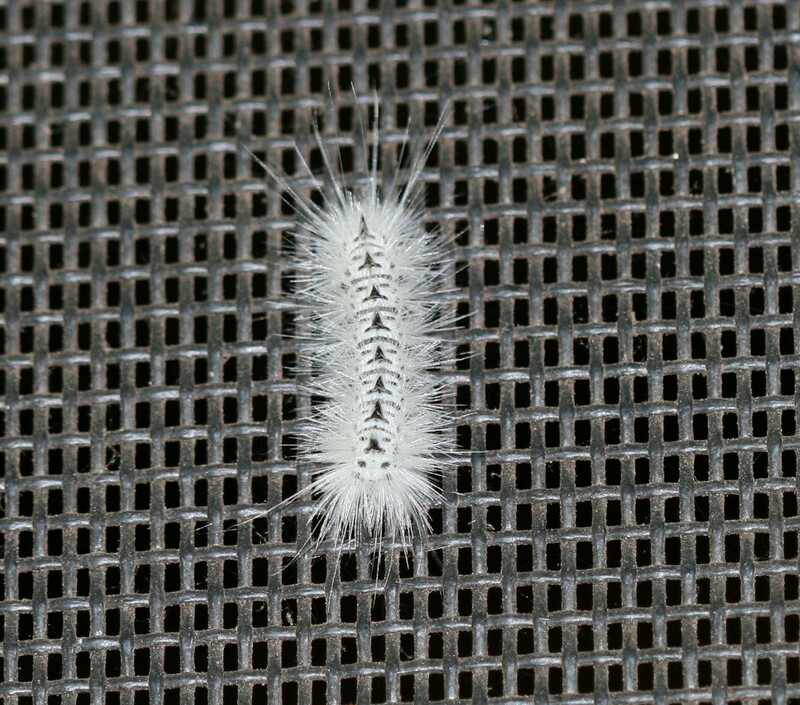 The Hickory Tussock moth caterpillars are also quite numerous at this time of year and many can be seen clinging to the screens on the porch. Their abundance is no doubt due to the walnut trees that surround the nature center and are a favorite food plant of the caterpillar. This morning I also discovered this pair of Large Milkweed Bugs appropriately procreating on a Swamp Milkweed in the wet meadow. Other plants in bloom in the sunny wetland and pond areas include the Swamp Rose Mallows (Hibiscus palustris) seen below. The mallow occurs in various shades of pink and red and are found around the edges of Lake Odonata. Another plant found along the edges of the pond is the parasitic Dodder (Cuscuta gronovii). The orange stems look like the silly string that comes in a can. Dodder wraps around a host plant and pierces the stem of the host to get the nutrition it needs the grow. Because of this tight embrace, Dodder is also known as Love Vine! Monkey Flower, seen below, (Mimulus ringens) is blooming in the moist meadows. The dominant flower in the wet meadow is the Obedient Plant (Physostegia virginiana) a member of the Mint family. As with many plants, this is a bottom of the spike to top bloomer. And if you use your imagination you may also see the other name for this plant – False Dragonhead. And finally, the Catalpa tree flowers that were shown in bloom back in Part 22, have by now developed into long cigar-shaped seed pods. And topping the news…four of our native orchids- Cranefly, Green Adder’s Mouth, Green Woodland and Downy Rattlesnake Plantain are all still in good blooming condition.